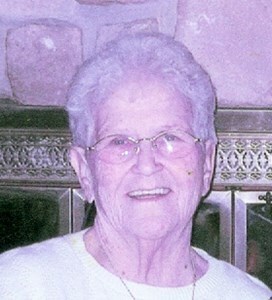 Indianapolis - Rita Marie Kopernak, 87, passed away Saturday, April 13, 2019. She was born February 4, 1932 in Indianapolis, IN. She served her family as a homemaker. Ms. Kopernak is survived by her daughters, Nina Myers and Kim Mollett; son, Louie Kopernak, Jr.; 1 sister; 11 grandchildren; many great grandchildren; 1 great great grandchild; and many other loving family members and friends. Ms. Kopernak's family will receive friends Tuesday, April 16, 2019, from 4 – 8 pm at Newcomer Cremations, Funerals & Receptions, 925 East Hanna Avenue, Indianapolis, IN 46227. A Mass of Christian Burial will be conducted Wednesday, April 17, 2019, at 11 am at St. Roch Catholic Church, 3600 South Pennsylvania Street, Indianapolis, IN 46227. Interment will follow at Calvary Cemetery. If you would like to share a memory of Ms. Kopernak, or a special message with her family, please click the "Share Memories" icon above. Add your memories to the guest book of Rita Kopernak. I am so sorry to hear about Rita's passing. What great memories I have of her. Her laugh was contagious and her smile was never ending. May she rest in peace. Prayers for all of the family. May we all live our lives in such a way, that our loss is deeply felt by so many. Ms. Rita I’m so glad I got the opportunity to get to know you over these last few months. Red loves you pretty lady. Thank you for making me feel special.? ?